This is my first shirt where I've taken a little extra creative liberty. There are no flying Bloopers in the game, but I took the Blooper sprite and added the wing sprite seen on a lot of other flying characters. It's for a friend who shares an in-joke about flying squid. As of this photo I haven't heat-set this shirt (I'm trying some new kinds of paints), but I like this design because it was very simple with 2 colors. 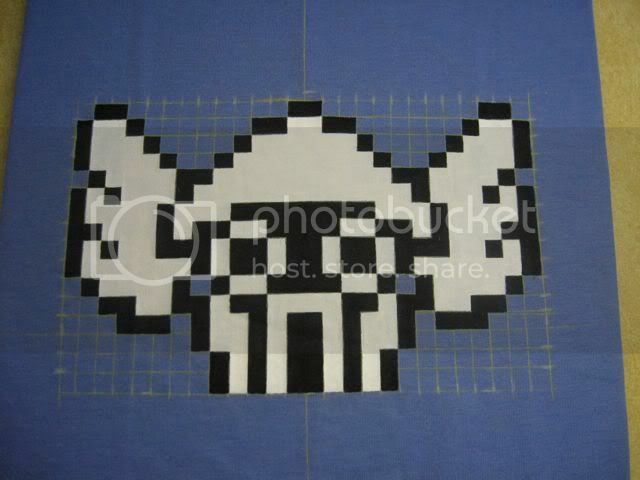 I'll have to see if there are any other black and white sprites out there. What a great and amazing game, I want to finish it but I am stuck in world 7, it gets me kind of stressed but I take generic viagra and then I feel more relaxed.